Suzette and I love guidebooks when we travel! 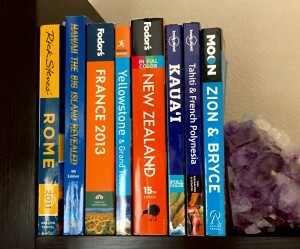 We get one before every adventure that we take and rely heavily on them for recommendations, places to visit, etc… I took my love of guidebooks and applied it to the real estate world. Colorado Springs Real Estate Guidebooks has been painstakingly written by me and is a culmination of my knowledge of the Real Estate process from a career that started in 2002 power packed into EVERYTHING you could ever want to know about the real estate process from soup to nuts! You likely don’t have the time or energy to research everything you need to know when it comes to buying a home, selling a home, hiring a Realtor, or how the contracts actually work. With that in mind, I created this guidebook series so that you can have a condensed practical need to know guide for navigating any facet of your real estate transaction. These guides provide insights and tips and tricks to help you navigate your specific transaction. I hope you find them helpful! If you have any specific questions about your specific real estate transaction, please feel free to contact me.